Golden-white Oranda usually are good in genetics. You can get many good and potential fries from Golden-white Oranda. It's because Golden-white Oranda majority is an original Oranda (not intefrenced too much by human / crossbreed). 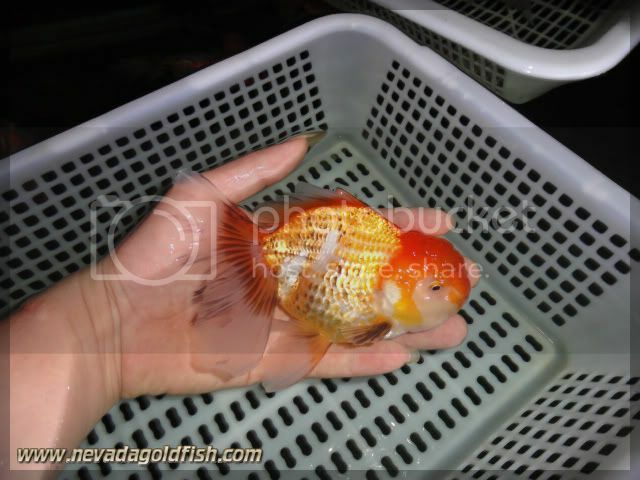 ORA017 is one of Golden-white Oranda with good genetics.